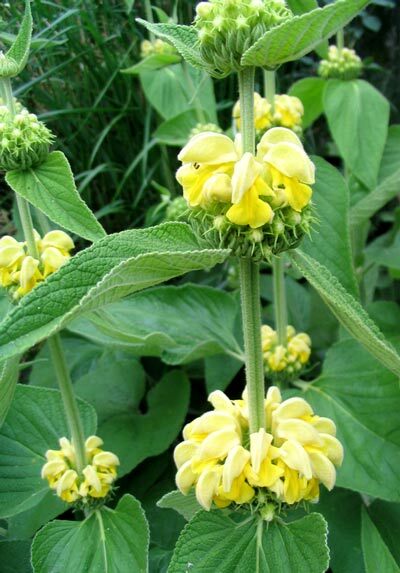 Phlomis is a beautiful perennial with subtle yellow flowers and neat green leaves. It's useful for leaving uncut through winter - the stalks and seed-heads are quite sculptural. My perennials reference book describes the yellow flowers as 'whorls', and the leaves as 'oval wrinkley felted green'. Useful too are the seedlings which it produces - easy to relocate or to rip out if they're growing where they're not needed. You will find quite a few of its offspring, though, so keep a look out. The yellow flowers first appear in early summer, and they always take me by surprise. On minute Phlomis is low to the ground, and the next minute the flower stalks are knee-high and the soft buttery yellow 'whorls' are there. Some gardeners may not like the abundance of brown when the seed-heads form, but I quite like this as an alternative colour for the late summer garden. When I get too annoyed with the seed-heads they're easily cut off. The remaining leaf clumps stay tidy all winter. 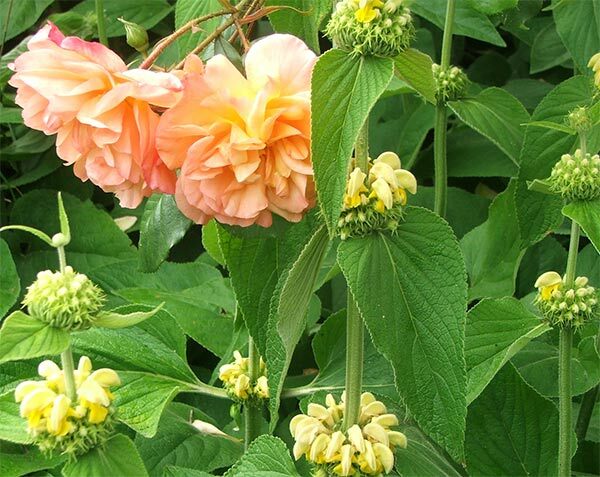 When yellow Phlomis is flowering it becomes a subtle blender in a mixed border. But it's an easy perennial to grow and to contain. And such a beautiful soft yellow. 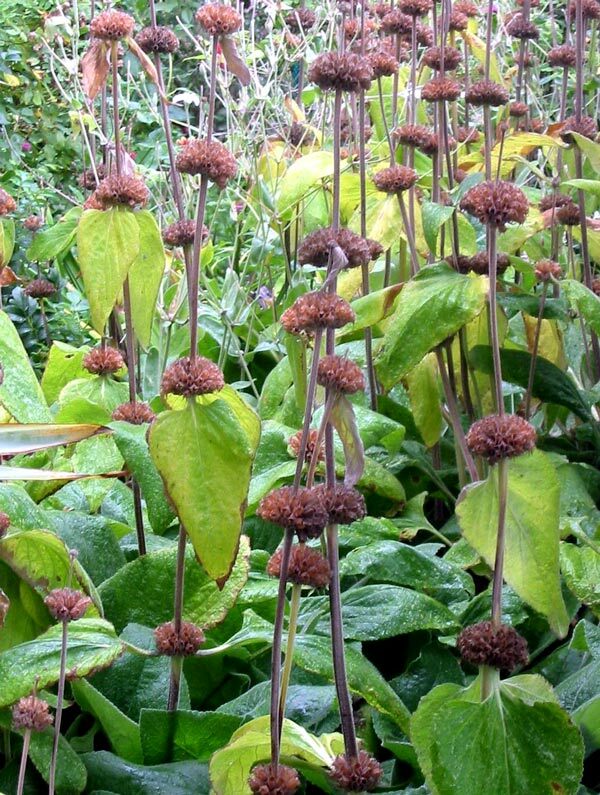 Phlomis is a modest, hard-working perennial, and definitely worth its place in my garden.